What Is The Second Language Of Argentina? 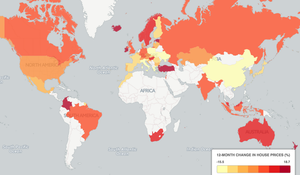 Reaching out to share an interactive graphic/map that I helped develop with Olivet Nazarene University that covers the second most spoken languages around the world. 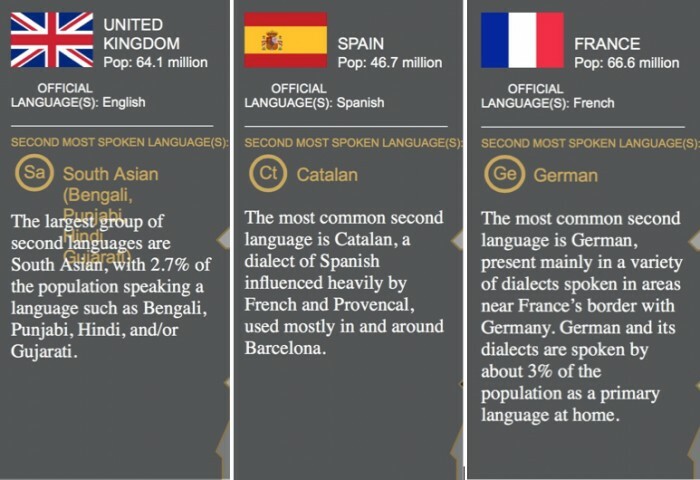 We’ve excluded any official languages from being the second most spoken language and noted them as official languages for each country to avoid any confusion. Posted in Misc and tagged tongue, world at 8:57 am on June 12, 2015 by Broadsheet. But it is a well known fact that the Argentinians are a bunch of Italians, speaking Spanish and wishing they were British. No surprise here. 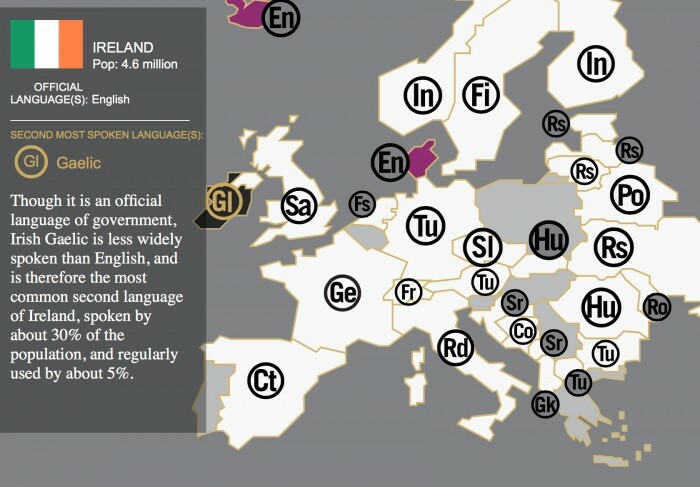 They’ve excluded any official languages except for in Ireland. Why? I’d like to know what comes after Irish? And by how much does it lag? French is an official language in Switzerland and they’ve said that is the second most spoken language. Yes. Switzerland has four official languages, with three of them as equal status….so all three should be listed as official on this graphic, regardless of the % of speakers. Yep, you are correct – Catalan is a dialect of Latin (as are Spanish, Italian, Romanian, and French, amongst others). Catalan is actually older (9th century) than Spanish (also called Castillian, from the 13th century). And since it has had its own literature during all its existence, it is considered a language, not a dialect. It is a touchy subject for political reasons, but if you look at it from the historical point of view, there isn’t much to discuss, really (unfortunately, that never stopped people from Spain from arguing with each other – and no, I am not Catalonian, I am actually Galician). I love reading Manuel Rivas!! What are the stats for Polish speakers in Ireland Donal? On the ball there Clampers, thanks. I was hoping the Argies second language would be Patagonian Welsh. If anyone is interested in Patagonian Welsh Huw Edwards did a nice programme on it on the BBC and S4C recently. Might be available on iPlayer or the S4C site. See https://www.youtube.com/watch?v=DCgfMJ4jH0s for a taste. Da iawn! Will seek that out. Diolch! Yup. Work with an Argentine whose grandparents on both sides are Italian. Is Irish not an official language of Ireland? Hence, like the road signs and stuff? You’d wonder about the accuracy of the whole thing given that Polish is the second most widely spoken language in Ireland. but but but… it’s on the internet! If you factor in that all school children spend a few hours a week speaking Irish (more or less) between the ages of 4 and 18, Irish probably has it beat. I’d doubt a couple hours every week beats out the thousands speaking Polish at home as their first language. Plus, being instructed in a language doesn’t equate fluency/used daily, which *is* a part of looking at spoken second languages. And I’m still wondering why Irish was included at all, if official languages are automatically omitted? As someone who was shocking at Irish in school, I can concur with this. And that is just a simplified version. It opens up further into 4-digit codes when you start considering variants. Ah here…. what’s the point in saying any more about this if they are even making that stuff up. Big ‘F’ for everyone on this project. It’s a creationist “university’. Would you trust anything coming out of the place? It’s referred to as a Christian liberal arts college. Feckin Charmin ultra soft factory more like.
. . . touching you. . .
Sweet Caroline, whoa oh oh. % of the population who speak Irish daily outside the education system: 1.8% (77,185 people). % of the population who speak a foreign language (not English/Irish) at home: 11% (514,068 people) of which Polish was the most common (119,526 people), followed by French (56,460 people). Ah, there we are. Thanks Paval. Luxembourg would have been interesting to see. There are three official languages; Luxembourgish, French and German. However over 45% of the population are foreigners. I suspect outside of the three official languages Portuguese or Italian would be the next most spoken language at home although English would win for the work place. Oh wait, I see, “Sources” include the “CIA Factbook” which is like relying on wikipedia for up to date info at the best of times… and they appear to be using the CSO data for kids attending school. And are classing those studying Irish five days a week as having used the language “regularly” and call it a second language….. makes sense now. By that reckoning, I had Latin, French and Spanish as my third, fourth and fifth languages….. Hah! It’s all just an exercise in… stats can say anything Ted. Sorry Matt, I’m sure your heart was in the right place, but your lovely map is complete nonsense on facts. Ah here, what’s wrong with the CIA factbook – I would have thought that this was widely used as a resource. I’ve found it to be a few years out of date on a number of occasions that I’ve used it. It’s a nice handy compendium of facts, but often well out of date. Great to know that Newgrange is older than the earth itself. Probably put their by aliens. Much more interesting is the predominant language of Paraguay which is Guarani. It’s spoken by 73% of the country including alot of Paraguayans with no indigenous ancestry. Hiberno-English with a Waterford lilt? 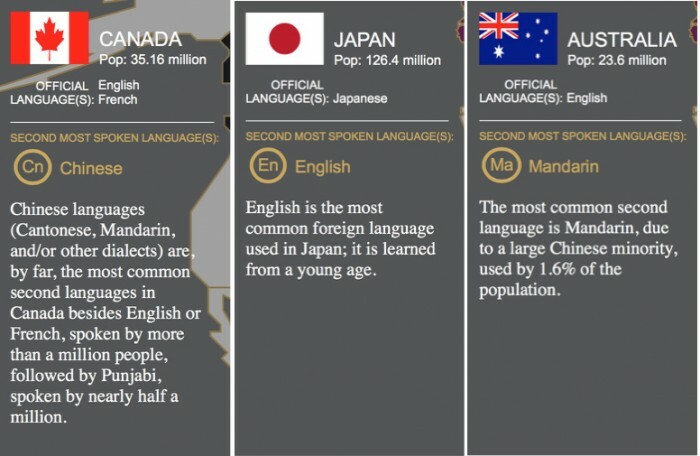 In Canada, if Chinese is second after English and French, then doesn’t that make it third? “Gaelic” is not widely spoken in Ireland. It might be in Scotland. 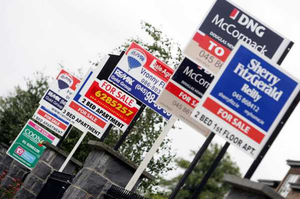 The two official languages of the ROI are Irish (Gaeilge) and English.